At Hill’s, nutritionists and veterinarians developed clinical nutrition especially formulated to help dogs and cats in recovering process. Caused by struvite uroliths or urethral plugs, calcium oxalate uroliths, or feline idiopathic cystitis (FIC). FLUTD is often associated with inflammation of the urinary bladder and urethra. It is characterized by clinical signs such as urinating outside the litter box, frequent attempts to urinate, and/or straining to urinate. 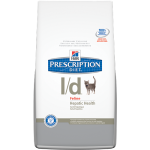 Prescription Diet® c/d® Multicare Feline is formulated to provide nutritional management of cats with the 3 most common causes of FLUTD including FIC, struvite uroliths or urethral plugs, and calcium oxalate uroliths. 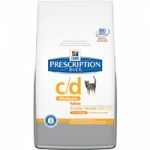 Prescription Diet® c/d® Multicare Feline pet food contains controlled levels of magnesium, calcium and phosphorus, to reduce building blocks of crystals and uroliths. 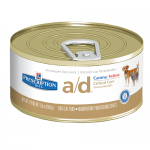 Prescription Diet® c/d® Multicare Feline also generates an environment that is unfavorable for the development of uroliths due to the addition of antioxidants, Vitamin E and beta-carotene. 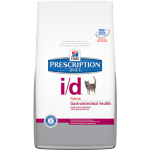 Prescription Diet® c/d® Multicare Feline contains healthy levels of salt to avoid aggravating undiagnosed kidney disease and has high levels of omega-3 fatty acids from fish oil that help break the inflammatory cycle associated with the most common causes of FLUTD. There can be a variety of reasons for your cat’s itchy, scratchy skin condition, including sensitivities to food. The good news is, most cats with these skin conditions can benefit from simply eating the right food. 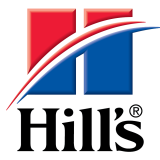 At Hill’s, nutritionists and veterinarians have developed clinical nutrition especially formulated to help cats with a variety of skin conditions, and digestive discomfort due to food sensitivity. Dietary indiscretion, food allergies, or lack of digestive enzymes can affect your cat’s digestive health. Efficient digestion is essential for your cat to be able to build and repair tissues and obtain energy, and for these reasons it is important to feed a food that is formulated to help support digestive health. At Hill’s, nutritionists and veterinarians have developed clinical nutrition especially formulated to help manage cats with digestive health problems. Due to its easily digestible ingredients, Prescription Diet® i/d® may also be helpful for cat recovering from gastrointestinal upset and routine surgery. 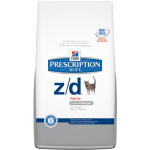 Hill’s® Prescription Diet® j/d® Feline is the first clinically proven therapeutic food for cats with mobility issues available in the U.S. It is clinically proven to help cats be more active in 28 days. 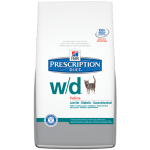 Hill’s® Prescription Diet® j/d® Feline is clinically proven to help cats be more active in 28 days. Prescription Diet® j/d® Feline contains omega-3 fatty acids, which nourish cartilage. Controlled phosphorus and high levels of omega-3 fatty acids help maintain kidney health. High carnitine helps burn fat while maintaining lean muscle mass. Because the right nutrition can positively impact your pet’s quality of life, Hill’s, nutritionists and veterinarians developed Prescription Diet® k/d®, clinical nutrition especially formulated to support your cat’s kidney health. In fact, k/d is clinically tested to improve quality of life in cats. The liver is your cat’s largest internal organ with many functions, including the digestion and conversion of nutrients, the removal of toxic substances from the blood and the storage of vitamins and minerals. The liver has an amazing ability to repair and regenerate itself, and nutrition plays a vital role in this process. At Hill’s, nutritionists and veterinarians have developed clinical nutrition especially formulated to help support your cat’s liver function during its healing process. Almost 50% of the pet population is overweight. Even a little extra weight can lead to serious health problems. Extra weight reduces play time, impacts mobility and affects the general health of your cat. Factors contributing to weight gain include age, lack of exercise and overfeeding. Many commercial pet foods are loaded with salt and fat, which improve the taste but also have dramatic effects on your cat’s weight and overall health. Along with frequent physical exercise, choosing the right food plays a very important role in helping cats reach their proper weight. At Hill’s, nutritionists and veterinarians have developed clinical nutrition especially formulated to reduce cats’ body fat by up to 20% in three months, while keeping him or her satisfied. Some cats can be more prone to gain weight than others. Weight problems can be successfully managed through changes in your cat’s food. At Hill’s, nutritionists and veterinarians have developed clinical nutrition especially formulated to provide complete and balanced nutrition to manage cats prone to weight gain. 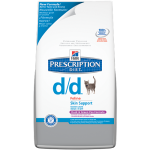 Prescription Diet® w/d® also helps cats maintain normal blood glucose levels and promotes healthy digestion. Food allergy and intolerance are potentially serious problems that can result in sensitive or irritated skin, coat and ear conditions or even gastrointestinal upset. Cats that have a food allergy or intolerance, also called adverse reactions to food, typically experience an abnormal response to the protein in the food. If your cat suffers from adverse reactions to food, it is even more important to feed the right food.